Tasting Notes: This wine displays bold dark-fruit flavours with hints of spice, leather and violet. It exhibits a complex bouquet with wild blackberries and mulberries interspersed with floral subtleties. 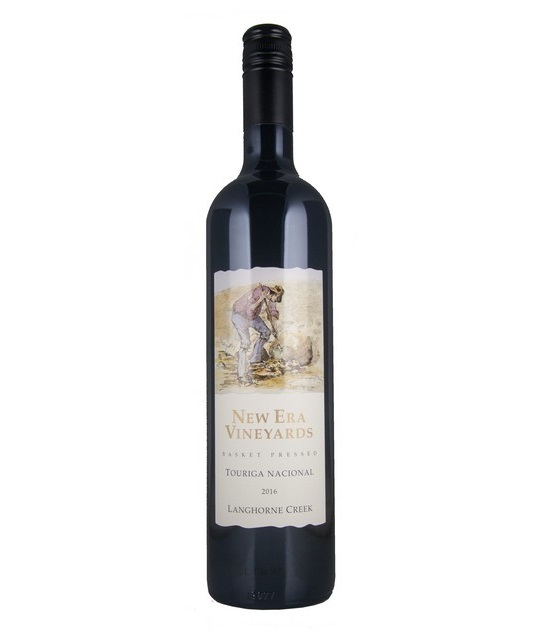 The palate is juicy and full with dark berries, balanced with complex savoury undertones. It finishes long and rich with balanced acidity and silky tannins. Food Matches: This wine is best served as an aperitif or alternatively would perfectly accompany a variety of Steak, Lamb and BBQ dishes. Winemakers Notes: Touriga Nacional is the variety that plays a prominent role in the blends used for ports and table wine in the world renowned Douro and Dao river valleys. It is widely believed to produce the finest red wines of Portugal. Langhorne Creek’s climatic conditions closely resemble those experienced along the Douro valley and foster the production of premium Touriga Nacional. Absolutely flawless weather conditions during the 2015 growing season with slightly higher average temperatures during the months of January and February continued into March to produce some of the best ripening conditions for the last decade. The grapes were picked at 13.5 Baume, de-stemmed and fermented in open fermenters for 12 days. After fermentation was complete an extended maceration on skins was undertaken. The wine was then Basket Pressed into second fill fine grain American oak hogsheads where it was aged for 12 months.